Just when you begin to enjoy the freshness brought about by the rains, you realize that your streets are flooded, and the stagnant water has become the most adored hangout spot for mosquitoes. The result? Mosquito bites and itching. With mosquitoes being one of the major cause of some of the most infectious diseases, it is best to steer clear of these monstrous beings. And that’s not it. Some unfortunate people also experience constant itching following a mosquito bite. Worry not, we have some remedies to solve the issue. Read on for more information. Why Do Mosquitoes Bite Some People More Than The Others? It is believed that about 20% of the world’s population is prone to mosquito bites. Are you wondering why this is so? Here are some facts. About 85% of humans are known to secrete a hormone that gives away their blood type, while the remaining 15% do not. Mosquitoes are found to be more attracted to the secretors than the non-secretors. Also, a study has found that mosquitoes are more likely to bite those with Type O blood than those with Type A. Those with Type B blood come somewhere in the middle. Carbon dioxide is another way by which mosquitoes detect their target. The carbon dioxide exhaled by you can be easily detected by a mosquito by using an organ called the maxillary palp. Exercise and different body metabolisms can also make individuals more prone to mosquito bites. Mosquitoes can detect substances like ammonia, uric acid, and lactic acid expelled via your body. They are more attracted to those with a higher body temperature. Another research suggests that having large amounts of some bacteria types make one’s skin more attractive to mosquitoes. One mysterious finding suggests that consuming a single bottle of beer makes an individual more attractive to mosquitoes. Pregnant women are known to suffer from mosquito bites more than the others. This is because they exhale more carbon dioxide and are also warmer than the rest. The color of your clothing is another factor that decides whether or not the mosquitoes find you attractive enough to feed on. Individuals wearing more prominent shades of black or red are prone to be bitten by a mosquito as that makes them easier to find. Your genes are also one of the factors that decide whether or not you are attractive enough for the mosquitoes. Unfortunately, we do not have a way to alter those genes yet. Now that you have a fair idea of what makes mosquitoes more attracted to you, you can try and take control of the situation to a large extent. However, since there is nothing you can do once you are already bitten by these monsters, you might want to try out some remedies that can reduce the itchiness that follows. Here are some of the best remedies that can provide immediate relief from those itchy mosquito bites and the swelling that follows in some cases. Take a little aloe vera gel and apply a thin layer of it on the mosquito bites. Do this 2-3 times daily until you get relief. The healing properties of aloe vera are not unknown. This therapeutic herb can soothe your skin and provide immediate relief from mosquito bites with its anti-inflammatory properties (1), (2). 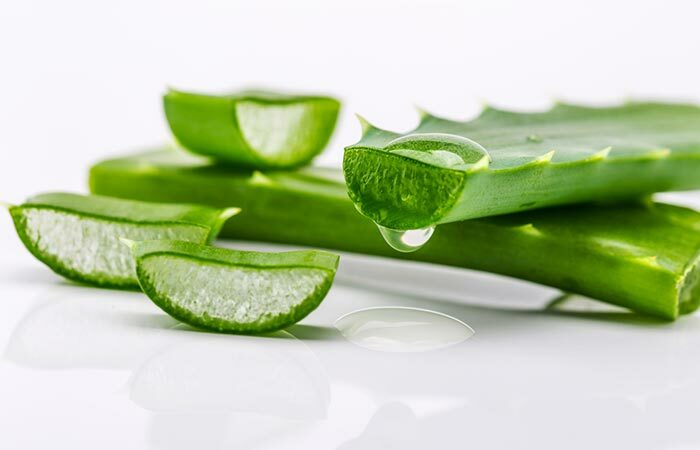 Aloe vera is also beneficial in treating bug bites and burns. You can store it in your refrigerator as cold aloe gel is all the more soothing. Apply a little toothpaste on the affected area. 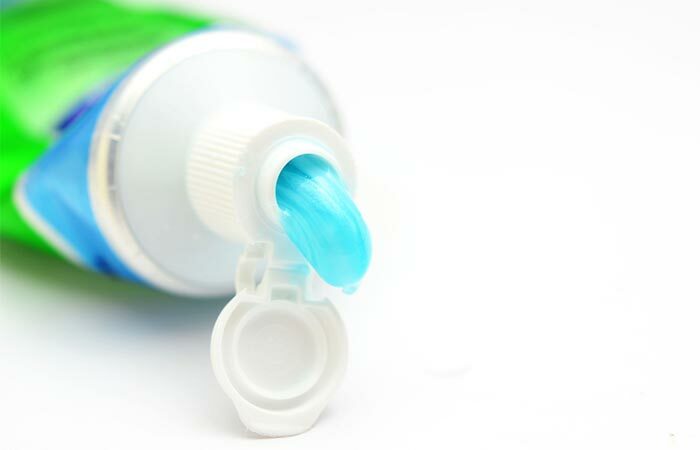 Toothpastes usually have a minty menthol or peppermint flavor, which soothes your skin and relieves itching (3). They also have astringent properties and can reduce swelling and inflammation on your skin that may have arisen from a mosquito bite. Dab some peppermint oil directly on the mosquito bite. 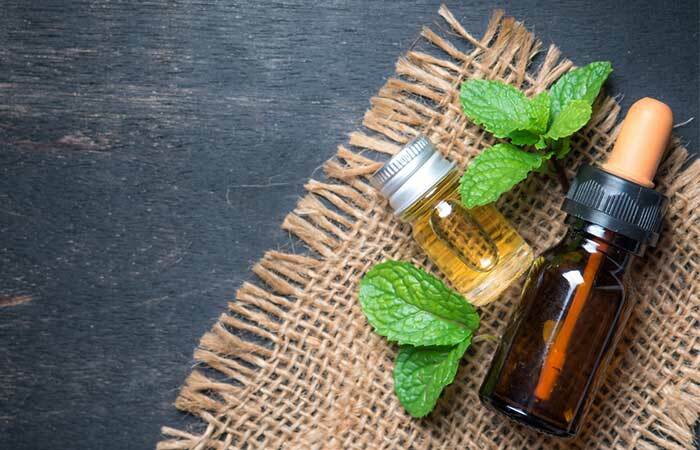 If you have sensitive skin, mix peppermint oil with coconut oil and then apply. You need to do this only once or twice to get rid of the itching. Peppermint oil provides a cooling and soothing effect when applied topically. The anti-inflammatory properties of the oil reduce the itching and swelling in the affected area, and its strong aroma may act as a mosquito repellent (4). Mix tea tree oil with a carrier oil of your choice. Massage this mixture into the affected area. You must do this once or twice. 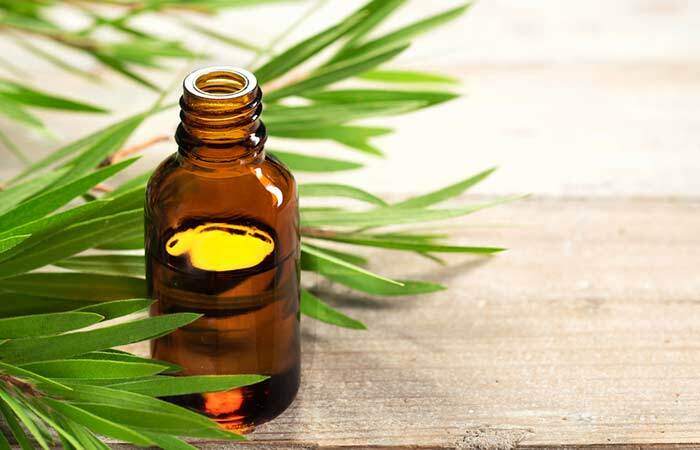 Tea tree oil is a natural antiseptic that also possesses insecticidal and repellent properties (5). It not only helps ward off mosquitoes but also relieves the itching and swelling that accompany a mosquito bite (6). Other than this, tea tree oil is also a proven remedy for various skin ailments due to its antimicrobial properties (7). Mix apple cider vinegar and cold water in equal quantities. Dip a washcloth in this solution and apply it directly to the mosquito bite. You can do this 1-2 times. Apple cider vinegar contains acetic acid that exhibits healing properties due to its anti-inflammatory and cooling nature (8). 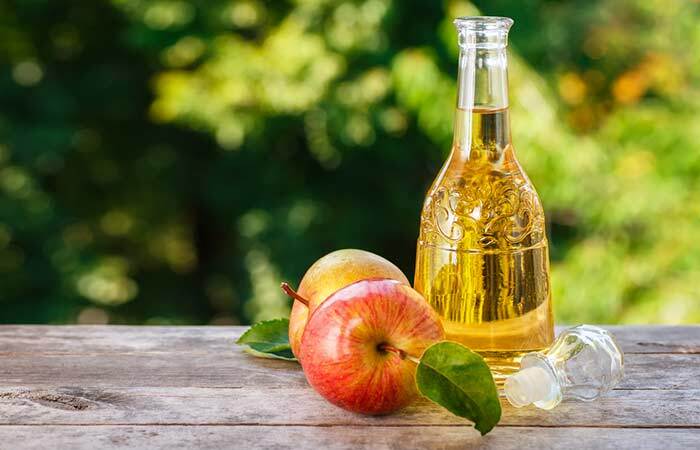 Hence, if you are bitten by a mosquito and the bite begins to itch, apple cider vinegar is the way to go. Its antimicrobial properties can also prevent infections that may arise with the constant scratching of the affected area (9). Soak a green tea bag in some cold water for 10-15 minutes. Remove from water and place it on the affected area for 10 minutes. Rinse off with water. You can refrigerate the dampened tea bags for further use. Do this once or twice. The cold tea bag provides immediate relief from itching and soothes your skin (10). 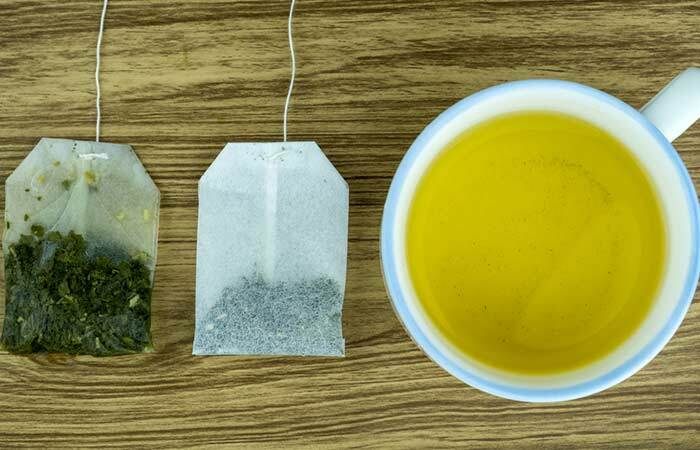 Also, the tannic acid in green tea provides relief from inflammation and swelling that are caused due to mosquito bites (11), (12). 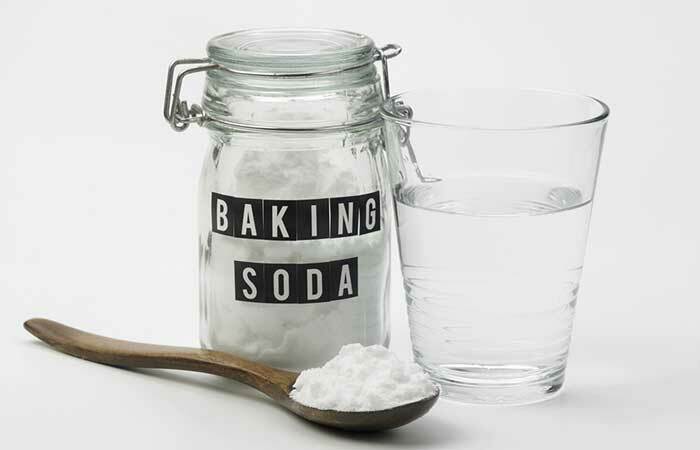 Add a teaspoon of baking soda to a glass of cold water and mix well. Soak a clean washcloth in this solution and apply it to the affected areas. Leave this on for 15-20 minutes. Wash your skin with plain water. The major component of baking soda is sodium bicarbonate, an alkali that can balance the pH of your skin and soothe itching and inflammation. The antibacterial properties of baking soda ensure that there is no further infection on the itchy patch of your skin (13). Take a little honey on your fingertips and apply it on the mosquito bites. You can do this 1-2 times until you get relief. Honey is one of the best remedies for various ailments. It possesses a wide range of properties that give it an edge over other ingredients. 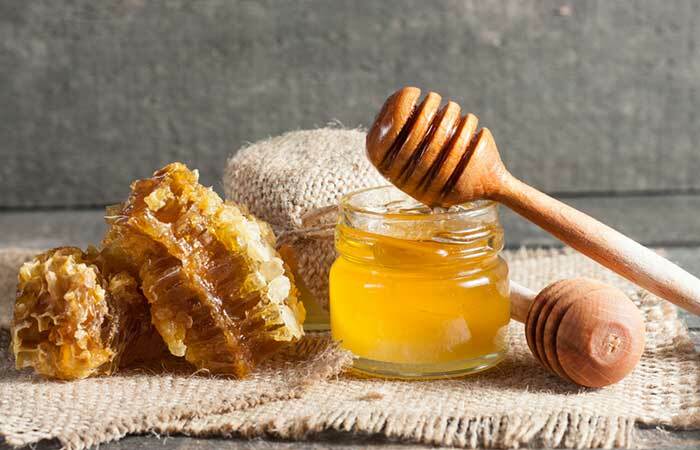 While the antimicrobial properties of honey can prevent infection, its anti-inflammatory and wound-healing potential can help you get rid of that itchy mosquito bite easily (14), (15), (16). Rub one half of the lemon directly on the affected area. Leave the juice on for 5 to 10 minutes. Do this once, right after a mosquito bites you. 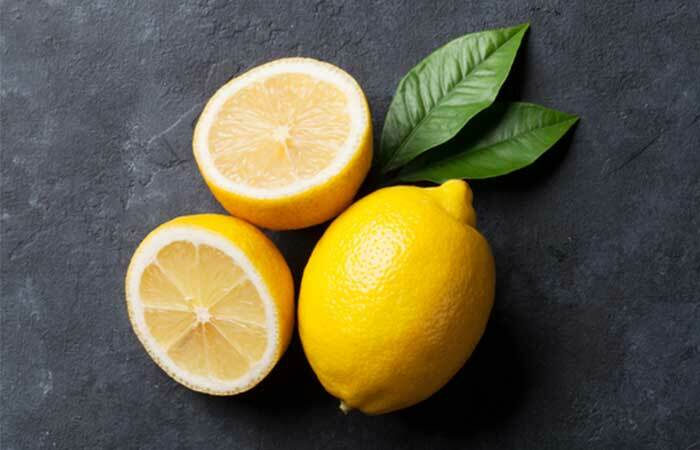 Lemons are highly acidic and have an anti-inflammatory effect on the mosquito bite. This can help in reducing the inflammation and swelling while also relieving the itch caused by the bite (17). Take a garlic clove and rub it gently on the mosquito bite. Garlic has been in use since centuries due to its therapeutic activities (18). The crushed garlic clove is rich in sulfur-containing compounds that impart exceptional biological properties to it. 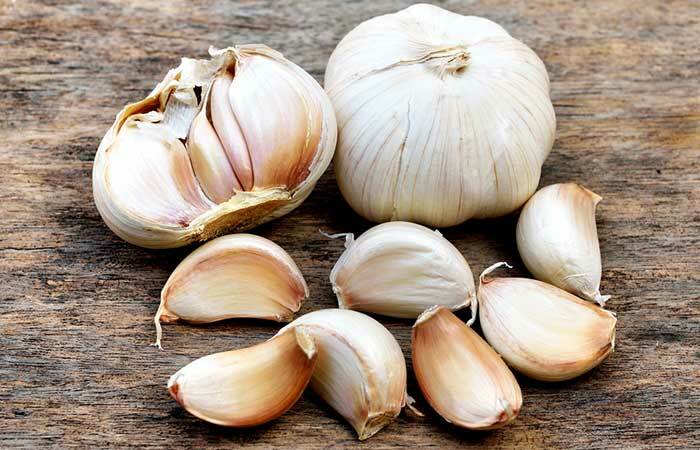 The anti-inflammatory nature of garlic has been proven to be quite beneficial in treating various ailments and infections and can provide quick and effective relief against itchy mosquito bites as well (19), (20). Take a couple of ice cubes and wrap them in a clean washcloth. Hold this on the affected area for 10 to 15 minutes. You must do this once following a mosquito bite. 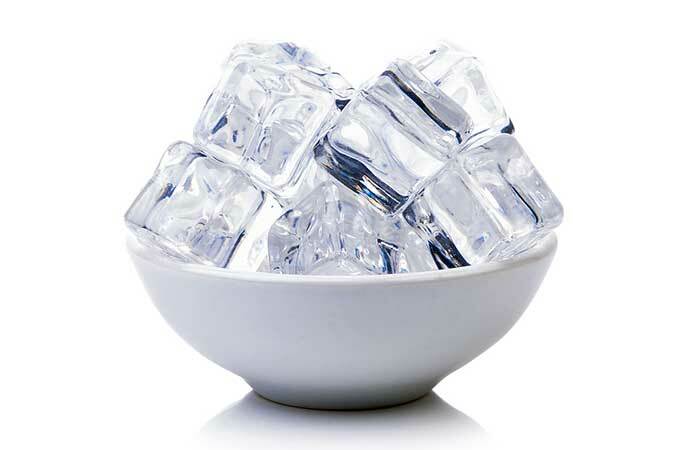 The coolness of the ice soothes the skin and limits the spread of inflammation from the site of the bite. Cold compresses are also one of the widely used remedies for pain and inflammation following an injury or physical trauma (21). They not only relieve the itching that surfaces with a mosquito bite but also reduce the inflammation and swelling of the affected area with their soothing properties. Take a bowl of hot water and soak a clean washcloth in it. Wring out the excess water and place the hot washcloth over the affected area. Keep it on for 5 to 10 minutes. You can do this 2-3 times. When a mosquito bites you, it injects a protein into your skin that prevents your blood from coagulating. It is this anticoagulating protein that causes your skin to itch. The high temperature of hot water nullifies this effect and relieves and soothes your skin. The use of concentrated heat is also a popular method to reduce and treat a variety of other insect/bug bites (22). You can do this right after you are bitten by a mosquito. Basil is also known as sweet basil or tulsi. It exhibits powerful anti-inflammatory, antioxidant, and antiseptic properties due to the presence of acetone and petroleum ether (23), (24). These properties are quite helpful in soothing itchy and inflamed skin. 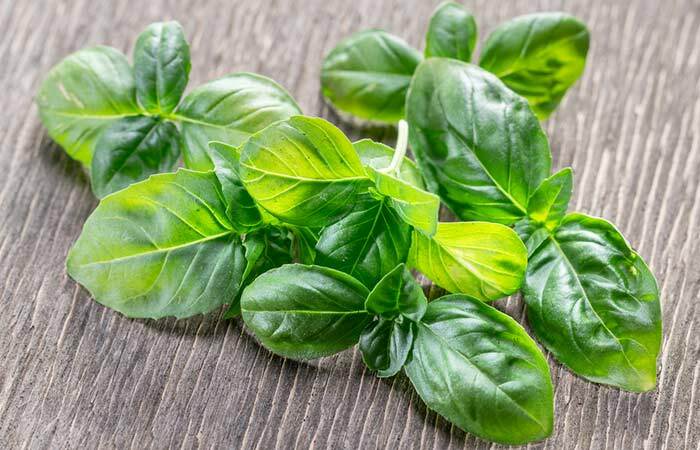 The strong aroma of basil also acts as a mosquito repellent (25), (26). 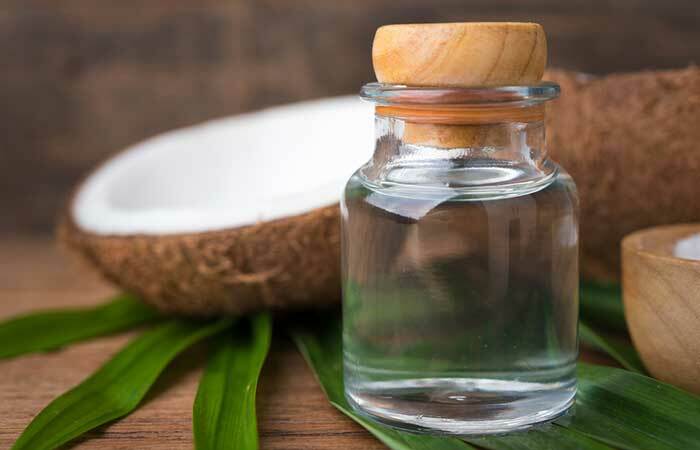 Apply a thin layer of coconut oil directly to the mosquito bite. When applied topically, coconut oil forms a protective barrier on your skin and prevents infections. This is mainly because of the high content of fatty acids and polyphenols in it. These compounds exhibit anti-inflammatory, analgesic, and barrier functions, which can prevent itching from mosquito bites and also act as a natural repellent (27), (28). Take an onion and mince it to make a thick paste. Apply this paste to the mosquito bite and leave it on for 10 to 15 minutes. 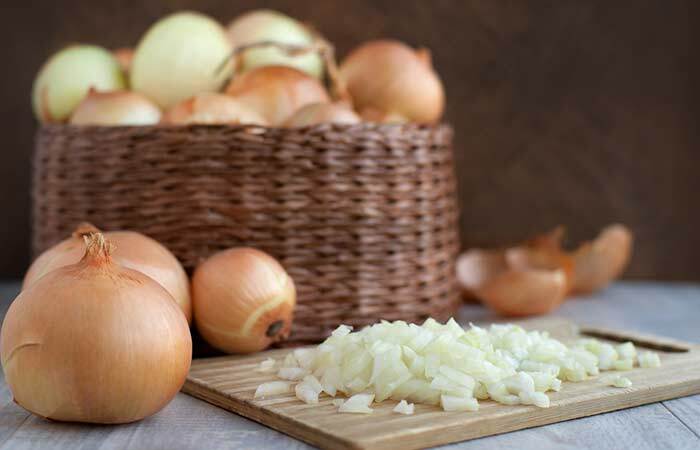 Onions are a rich source of phytochemical compounds (like allicin) and flavonoids (like quercetin), which are quite popular for their anti-inflammatory and antioxidant activities. They also have a strong odor that acts as a mosquito repellent. Their anti-inflammatory nature helps treat and prevents the mosquito bites from itching (29), (30). Mix both the ingredients to form a fine paste. Apply this paste to the affected area. Allow it to dry. Alternatively, you can dab some sandalwood oil directly on to the mosquito bite. 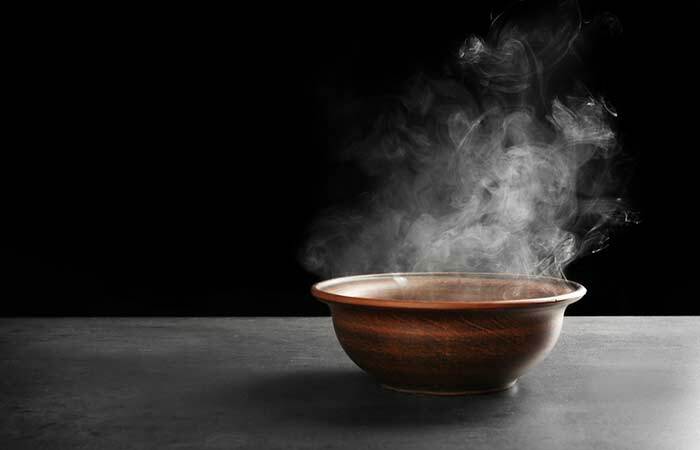 Sandalwood is a therapeutic agent that has anti-inflammatory, antioxidant, and antimicrobial properties (31). These can help combat infections and inflammation that may arise from mosquito bites. Studies have also found that sandalwood is quite effective in treating inflamed and itchy skin (32). Apply this paste directly to the mosquito bite and allow it to dry. You must do this once. Turmeric is a natural healing agent and is widely used to treat a variety of ailments. 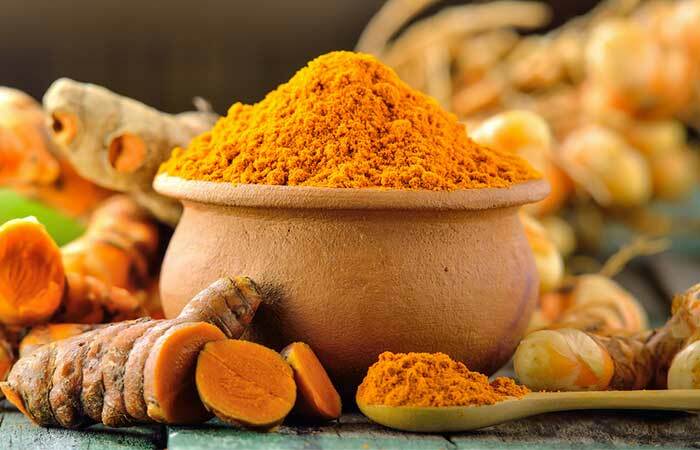 The presence of curcumin in turmeric is what makes it beneficial in so many ways. Curcumin is a powerful anti-inflammatory and antioxidant agent that can be of great help in soothing and healing itching (33), (34). The strong aroma of turmeric also functions as a natural mosquito repellent (35). Mix a few drops of neem oil with coconut oil. Apply this mixture directly to the mosquito bites. Do this twice to get immediate relief from the mosquito bite. Neem is a popular herb with a wide range of health benefits, one of them being its repellent action against mosquitoes (36). 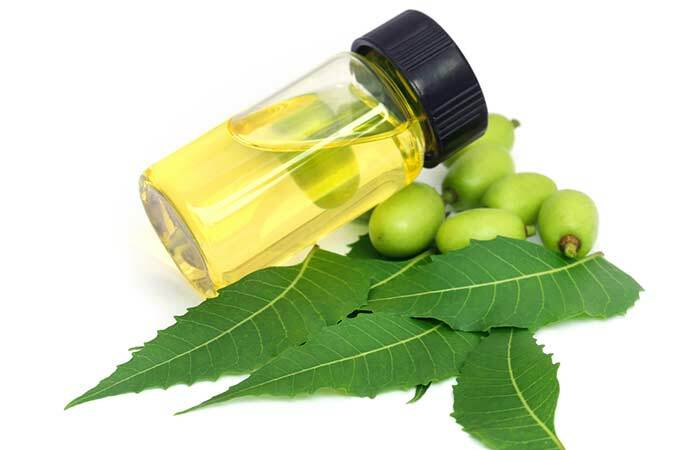 When neem oil is used in combination with coconut oil, it is found to be 100% effective against mosquito bites (37). It is also anti-inflammatory in nature and can hence treat inflammation, swelling, and itchiness that follow a mosquito bite (38). Mix half a teaspoon of salt and with a few drops of water. Apply this paste to the affected area. Let it dry. Salt is a natural antiseptic and can help prevent infections. 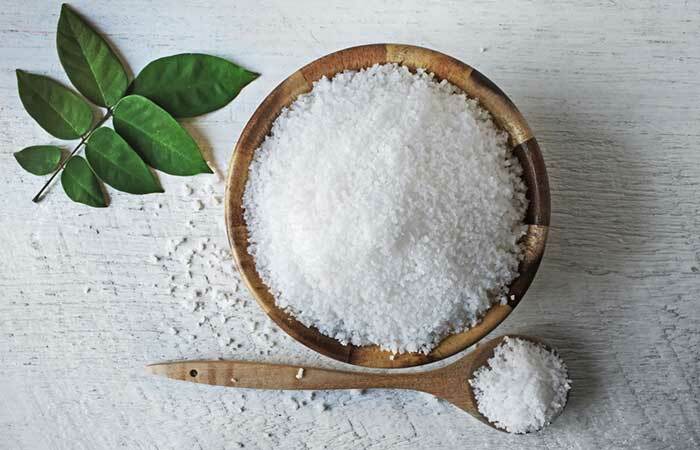 Topical applications of salt have also been found to exhibit anti-inflammatory effects, which can be effective in relieving itching and inflammation at the site of the mosquito bite (39). Add oatmeal to your bathwater. Soak in this water for 15 to 20 minutes to relieve itching from mosquito bites. 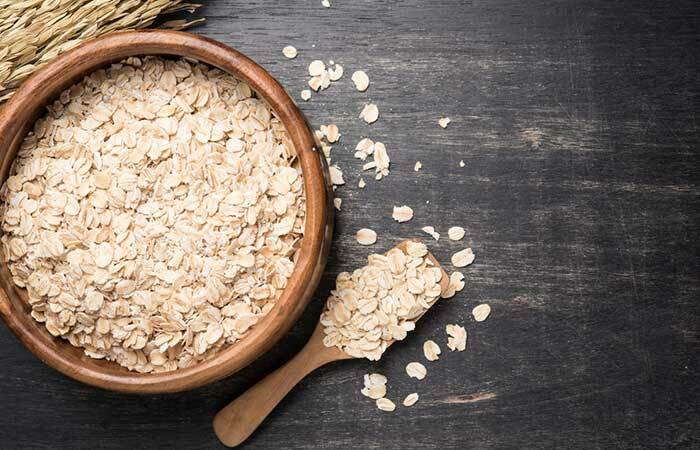 Oatmeal bath is one of the best remedies to consider if you have had too many mosquito bites. It contains polyphenols called avenanthramides that possess anti-inflammatory and anti-itch properties (40). These properties make it an effective remedy to stop mosquito bites from itching. Take some Vicks VapoRub and apply it directly to the mosquito bites. 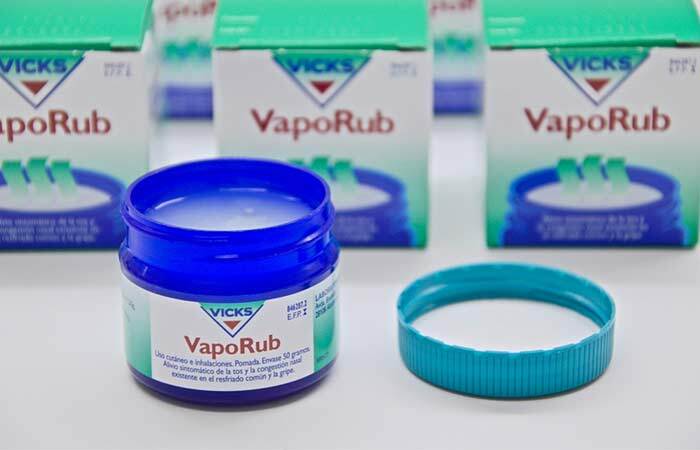 Vicks VapoRub contains menthol and eucalyptus oils, both of which exhibit anti-inflammatory activities. Hence, it can help in treating the inflammation and itchiness that follow a mosquito bite (41), (42), (43). You can also take the following precautions in addition to using the remedies discussed above. Since mosquito bites cannot be prevented altogether, it is best to take the necessary precautions to prevent itching from these bites. These remedies will give you the desired effects. However, if you happen to live in an area known for mosquito-borne diseases, try and take maximum precautions to avoid getting bitten by mosquitoes as some of the infections spread by these can be life-threatening. Now that you know how to stop mosquito bites from itching, what are you waiting for? Try out these remedies and do let us know which one worked for you. What to put on mosquito bites to stop the itching? The remedies mentioned above are some of the best natural ingredients that can be applied topically to relieve itching from mosquito bites. Why do mosquitoes bite at night? Mosquitoes bite more at night because the exposure to the sun during the day can dehydrate and kill them easily. Hence, they are more active at night. 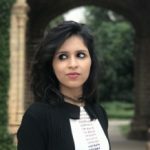 What is the best cream for mosquito bites? 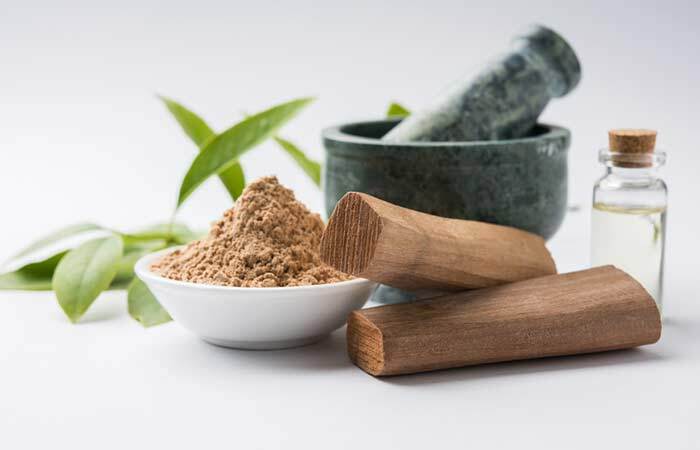 Creams containing ingredients like neem and aloe vera are the best to treat mosquito bites. How long does a mosquito bite last? A mosquito bite usually lasts from a few hours to a few days. Which plants can be used as mosquito repellents? Plants like basil, peppermint, neem, and garlic can be used as natural mosquito repellents.